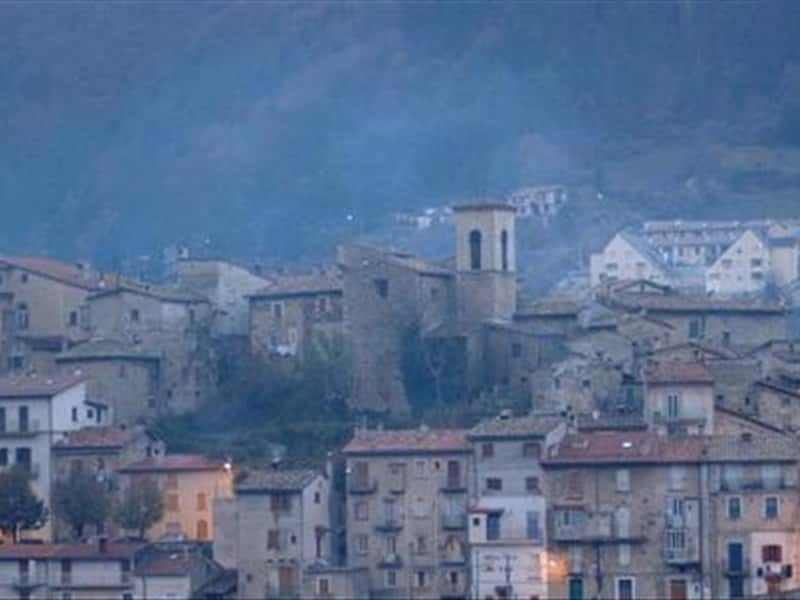 Scanno is a town in the province of L'Aquila, situated in the valley of Sagittario, on a spur of Mount Carapale, close to Lake that has the same name. The name derives from the Latin "scamnum (bench, stool) to indicate its location on the summit of a rocky spur. The area was inhabited since pre-Roman times, as witnessed by the discovery of some statues of Hercules. It was mentioned for the first time in a document dated 1067, which is preserved in the Abbey of Montecassino. For centuries it submitted the domain of various feudal families: the Counts of Valva, the Di Sangro, the D'Aquino, the D'Avalos, the De Pascale, the D'Afflitto and the Caracciolo. The town centre is rich of important palaces and houses, decorated with arches, doorways, pilasters, columns, statues of infant angels and richly frescoed rooms. - the Church of Santa Maria della Valle, whose presence was already attested in the XII century. Restored in the XVI century, it features a plan with one nave and two sides aisles divided by four square pillars and covered with barrel vaults. It also preserves remarkable frescoes and XVII century baroque stucco decorations. - the Church of Saint Eustace, dating from the XII century, it submitted major renovations after the significant damage reported due to numerous earthquakes that have taken place in this area over the centuries. - the Church of Santa Maria of Constantinople, located in Piazza San Rocco, was built before 1418. It features a rectangular plan building covered by a barrel vault. - the Church of San Rocco (or Lady of the Carmine), built on the ruins of two pre-existing churches. The façade features three levels divided by a stone framework. - the Church of St. John the Baptist, already mentioned in a document of 1612, features a simple façade, a Bell tower and inside it houses a permanent exhibition of sacred statues. - the noble palaces (Palazzo Di Rienzo, Palazzo Mosca, Palazzo De Angelis, Palazzo Serafini, Palazzo Castellaro). This town web page has been visited 17,453 times.